First of all where r u from (country). I want to update my firmware using phoenix to 1508, but I'm not sure about product codes. Can I install firmware that belong to other product code. 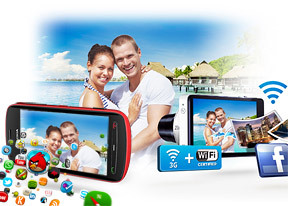 I saw some of modified firmware on N8 fabclub as "http://www.n8fanclub.com/2013/01/pvn-v5-cu­stom-firmware-nokia-808-pureview.html". What kind of modification they did, is it safe in use them. I'm waiting for this performance update in India but not available yet. Even if my 3.5G issue will not resolve then finally submit it to Nokia Care. Yaa Sorry I didn't submitted it yet, because I can live without it 1 day. I've downloaded Phoenix, Navifirm & waiting for your reply to go on with above custom firmware at N8 fanclub. AnonD-96039, 08 Jan 2013hi everyone, i knew that this is nokia 808 page. But i would like to ask question regarding my... morehey same happened with my pv i went care he did downloaded some thing othrr then format then i can download ovi,you speak to nokia care over the phone tjey will guide u.
my phone is currently running with 507 belle feature pack 2 without any single issue.. It's perfectly running and i dont want it to update to 508 cause i dont think it has major changes.. Plus the update is too big to download.. Will i still be able to get an update over the air?? Be it minor or major update.. Anybody has an idea? hi everyone, i knew that this is nokia 808 page. 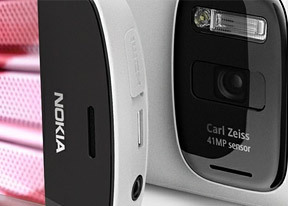 But i would like to ask question regarding my nokia 701 fp1. My phone dont run nokia ovi store and so i cant download anything since last november 2012.then i went last sunday to nokia care, and they said that my phone need to update to fp2. But im afraid if fp2 is good like fp1? Please help me. AnonD-65020, 08 Jan 2013Dear friends,what is the difference between Belle FP-2 version 113.010.1507 and to Belle FP-2 ... moreIf you're using mobile data plan or WIFI connection, you can check the availability of "Performance Update" version 113.010.1508 directly from your phone (without connecting your 808 to Nokia PC Suite or Nokia Suite in your computer). Just go to your phone Menu, then push "SW update" Menu, then the "SW updatemenu" will tell you automatically whether or not Nokia is ready to give your region (country) with the lattest version. Nokia may already give some countries the lattest "Performance Update" version 113.010.1508. But some other countries may have to wait for a little while. Don't worry be happy, another great thing's coming to your phone. 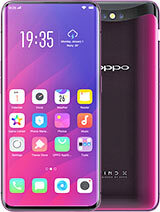 rahulrods, 04 Jan 2013Hi All, I'm from Mumbai,India.I wish to buy this Phone.I tried all websites including Sahol... morei am using 808 purview from 6 months now and no other phone can achieve technological feat like this phone.I buy this phone from vashi.ther are availibility of this phone in some shops. Anonymous, 06 Jan 2013Thank you. That gives me peace....I like the n8. My wife and daughter upgrade every 2nd year. ... moreYou don't have to be scared of wp 8. It's new baby but will get better and better. I don't like it cause is a more closed system, like ios, but my hopes with wp is that slowely will follow symbian path in matter of costumizations and manipulation. And all the many things symbian can do. So after 3 or 4 years, i'm hoping wp will be more then it is now. So i can rely on it to let me do what ever i want, symbian style. Cause I really don't wanna buy any samsung or other rubish with their toilet seats. Now everything is ok i still have one phone to upgrade to:). I kepp my phones allot of time, so the 808 will maybe taking me till 2020:). AnonD-88982, 07 Jan 2013I've read that accenture post in more detail...and am feeling comfortable. I will definitely g... moreI don't know if you should thank me but, you are welcome:). Anonymous, 06 Jan 2013You scared me Carol! 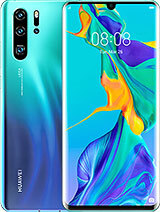 I'm upgrading from n8 in febr/ march (two phones, my wife and daughter)!!... moreDon't worry Friend, I believe Nokia is still supporting 808. My family has the older Nokia E5 and N8 and they still received updates from Nokia up to 2012. On the contrary, my GS1 stucked forever after Eclair, Froyo and Ginger Bread. That's all. No more update from Samsung forever. When I bought my 808 a month ago I got Belle FP-1 out of the box. The next day I could update it to Belle FP-2 version 113.010.1507 via Nokia Suite. And now Nokia is giving Performance Updates to version 113.010.1508. Great ! As far as I know Nokia already gave 808PV at least three updates in less than a year. Very responsible Nokia. Who knows maybe more updates coming. You're lucky that your phone won't be easily outdated in 3 or 4 years time because it has a distintive features and specs (even if Nokia kills Symbian). So in the mean time let's enjoy 808 Masterpiece. Cheeers. Carol, 06 Jan 2013Right now Nokia outsourced Symbian to Accenture. So we can say that we are on Accenture suppor... moreThank you. That gives me peace....I like the n8. My wife and daughter upgrade every 2nd year. Therefore the 808 can last for the next two years. If I have to choose, the lumia will stand way back in the row...I'm scared of the wp8 os. Carol, 06 Jan 2013Yeah, but after i read this.... even though it doesn't have to be true... my hopes are lower t... moreYou scared me Carol! I'm upgrading from n8 in febr/ march (two phones, my wife and daughter)!! My choice was 808! What now?? ?